Before I say anything more, I should probably put a disclaimer here... I don't know if this Healthy Korean Beef Recipe is actually Korean-y in the slightest as I made it up, however it was inspired by a Korean friend of ours so I guess that kind of counts? You see, when it comes to developing recipes, I like to follow the make it up and pretend it's a thing route. Also known as, Kristy throws together ingredients, hopes it works and then happy dances when it does - and this is exactly what happened here. You see, I'd spoken with my friend about this delicious dish her family used to make with ground beef and a sweet/savoury sauce with soy, sesame and ginger flavours and I kind of forgot all about it until one night I really wanted a stir fry for dinner - but I had a problem. The only meat we had at home was beef mince and since I was feeding my manly man husband, a veggie stir fry wasn't going to cut it. I either had to make something different or I was going to have to use the mince. 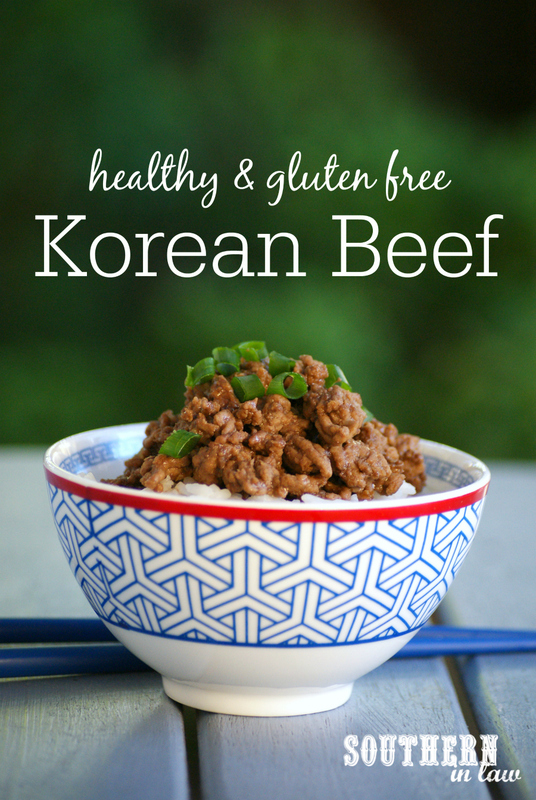 Knowing my fussy husband would think ground beef in a stir fry was weird, I remembered our conversation and thus my "Korean Beef" was born. 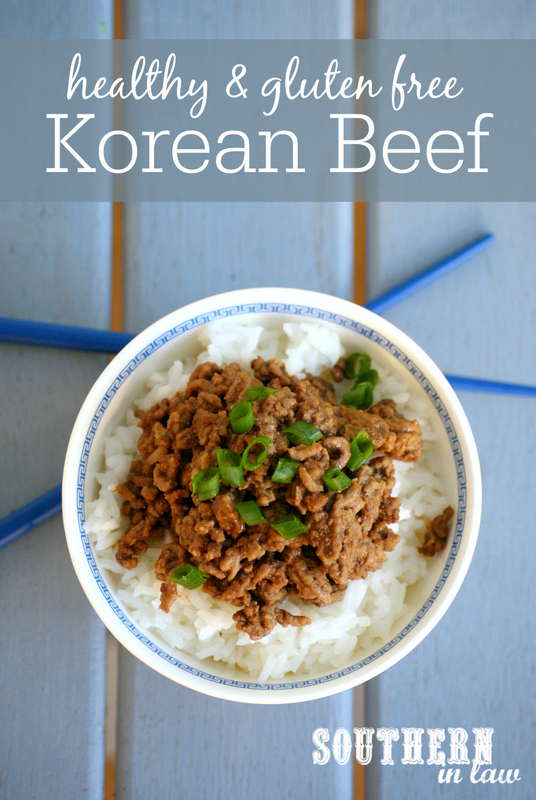 You see, if you give something a name, Jesse forgets all about the weirdness (as long as it's not a name he associates with anything else) and usually gives it his approval as long as it tastes good - and now Korean Beef has become one of our all time favourite dishes! 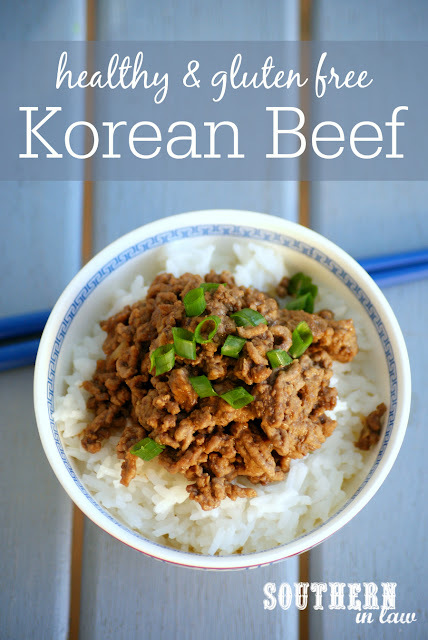 In a small saucepan, brown off your mince with your garlic, ginger and sesame oil, stirring and breaking up the meat until it's cooked through. If desired, mix through steamed veggies of your choice or simply serve your beef mix over steamed rice, quinoa, zoodles, cauliflower rice or whatever your heart desires! Notes: I like this served on top of rice with veggies on the side (because I'm weird and like plain steamed veggies) whilst Jesse likes his veggies mixed in. Play around with it, make it your own and find what you prefer! Afterall, it is just a made up recipe ;) We'd love to know how you like it! But tell me, do you like to follow actual recipes or do you prefer to make up your own on a whim? I never ever follow recipes - except for my own favourite combinations, but I'll even switch those up too!